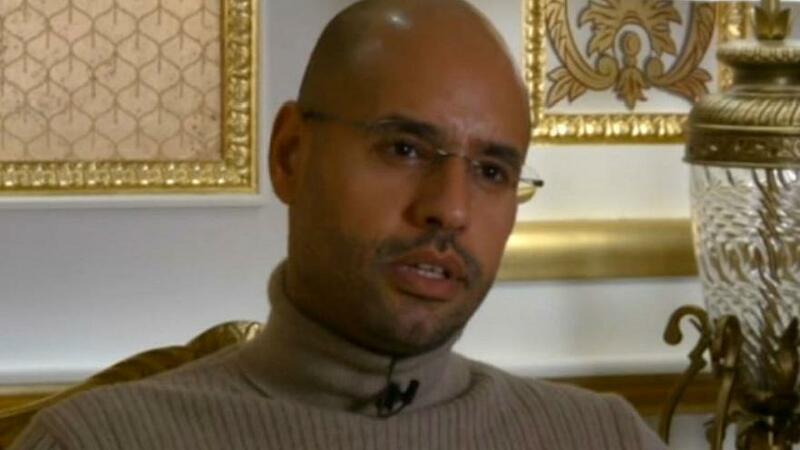 Gaddafi Junior, Saif al Islam, told the media that he still is in possession of undeniable evidence to indict French President Nicolas Sarkozy who is being probed by the French judiciary for getting illegal funds from Libya’s former ruler Muammar Gaddafi in 2003. “I stress that I still have solid evidences against Sarkozy. And I have not been heard yet in this case, neither is Abdallah Senoussi, the Libyan former spy chief who still possesses the recording of the first meeting of Sarkozy and Gaddafi in Tripoli before his electoral campaign,” Saif al Islam is quoted as saying in an interview with the news website Africanews. The former French President was summoned early this week by local police in a suburb of Paris to answer questions over the alleged acquisition of funds from the former Libyan regime in the framework of his 2007 presidential bid. Sarkozy is suspected of receiving around €50 million from Gaddafi in 2003 for his 2007 electoral campaign. The former French leader has lambasted the charges and has rejected the authenticity of documents of the alleged illegal funding published by the investigative French media Mediapart. Saif al-Islam was a prominent figure in the regime of his father who reportedly groomed him to take over. The regime crumbled in 2011 in a NATO-backed revolution supported by Sarkozy and other western allies. Saif al-Islam whose whereabouts have been unknown since his release from prison in June last year following an amnesty granted by Libya’s east-based parliament; House of Representatives (HoR), which is opposed to his extradition to the International Criminal Court (ICC), also named Bachir Salah as a key witness in the case. Salah was boss of the Libya Investment fund. Gaddafi’s son also charged Sarkozy for the ongoing illegal migration using Libya as pad launch and the spread of terrorism in Libya. Written by: KanelkaTagba on March 23, 2018. Posted by KanelkaTagba on Mar 23 2018. Filed under Headlines, World News. You can follow any responses to this entry through the RSS 2.0. Both comments and pings are currently closed.